Money Experts Club is considered one of the international think tanks established by Arab Experiences. It is a subsidiary of Money Experts Holding Group; a Saudi Group specialized in introducing integrated financial services. Its capital is 5 Million Saudi Riyals. Money Experts Club is one of the experienced international institutions at the field of financial markets seeking to achieve a global professionalism for all financial markets community. Money Experts Club is one of the leading Arab websites that is specialized in introducing the comprehensive services to the Arab investors in the financial markets. We introduce integrated services including financial experts' forums, My MEC the personal webpage to each user, E-Learning academy and financial & economic books website. The books website includes dozens of researches, articles, Arab and English books of financial industry. One of Money Experts Club role also is to qualify the professional cadres in the financial investment. We also are working to introduce the correct techniques and consultations for the investors in the financial markets to achieve a secure investment, taking the investors away from the risks of the markets. Money Experts Club is considered a destination to the elite of financial consultants, technicians, portfolio managers, financial risk managers, assets managers and those who are interested in financial and banking sectors and holders of certified professional designations in the Arab world. Money Experts Club mission is based on achieving effective & great renaissance at the field of investment in stock markets in the Arab world. We are seeking qualifying new cadres to deal with the different activities of investment, financial management, financial institutions and companies to achieve the best retunes by managing the assets of the institutions in the financial markets according to these companies goals and policies, In addition to correct the misunderstood ideas and concepts on the financial markets. These concepts have accumulated because of lacking qualified institutions to correct the fallacies and move the losing investor into a winner one by using the scientific tools to trade securely and use the different tools professionally. Our main vision lies in introducing several services to the investors in the Arab & international financial markets. We are seeking introduce the fruitful knowledge to all those who are interested in the financial markets including stocks, bonds, foreign exchange, derivatives and all those who interested in studying technical and financial analysis, mutual funds management, wealth management in the financial markets. Our mission concentrates on eliminating all tragic scenes that occurred to the persons who lose their capitals through qualifying them to trade successfully and professionally in the financial markets. So, our goal is to provide a professional generation in the Arab community in order to be able to manage the capitals and assets in the Arab and international financial markets. MEC administration is working to achieve a renaissance at the fields of stocks and financial markets in the Arab world . It is also, working to qualify new cadres of dealers in various activities of investment, financial management, financial institutions and companies in order to achieve the best returns and managing the assets of these institutions in the financial markets that fit the policy of different corporations and achieving the desirable outcomes. MEC has a well – examined plans, based on the principles of the strategic planning. It adheres to the ambitious plans. It is also, fellow up achieving its goals on both short and long terms. These plans depend on the scientific methodology of planning, taking into account expected changes. Thus, the plans of the MEC are based on the flexible movement to achieve its goals. MEC is managed by an administration board. The role of this board is to carry out the goals of the company and achieve the utmost benefits for the trainee and the society. The administration is working to set up many branches in different Arab countries such as Lebanon, morocco, Kuwait, United Arab Emirates and other Arab countries. In addition to headquarter in KSA, Riyadh, Sana branch of Yemen and Cairo branch of Egypt. MEC is looking at the other regional and world experiments to get the reasons of success and failure and working to discuss and benefit them. Reality emphasizes that the sincere efforts, real and balanced planning and the right movement are the elements of success. This is what MEC depends on. So, any effort for the sake of training and developing the performance of investors is welcome by MEC whether on the regional or international level. So, MEC welcomes any cooperation, individual or societal, through it or any other corporation. MEC activities include presenting qualifying and training programs to all investors in the financial markets, staffs of the brokerage companies, banks and financial institutions. The activities also include holding seminars and conferences that connect the businessmen with the developments of the world. There are the financial and economic studies and researches, workshops of all fields, related to economy, stocks and financial markets. The home page of Money Experts Club is the main gateway to recognize all Money Experts Club services and what introduces to the Arab investors. The homepage includes entries to all websites of MEC in which the user can reach his destination easily and quickly. The home page also contains the latest news of Money Experts Club, conferences, offers and new agreements. This is to make the new events news available to the users at any time. The homepage includes a part from each website affiliated to Money Experts Club. All our printed materials, business cards, brochures and advertising campaigns contain the link of the homepage. The homepage is considered the main gateway of all users to settle in his destination at one website in Money Experts Club network. Money Experts Club forums are considered a destination to all Arab experts and professionals at the Arab & International financial markets. MEC Forums include several sections of daily follow up of the markets. It also includes training sections to train and qualify the beginners and enhance their performance at the financial markets. For example the Saudi market, foreign exchange market, Egyptian market, Syrian market, e-learning academy and financial library. MEC Forums include several sections that cover All Arab and international financial markets to fulfill the needs of users through follow up, analysis, news and forecasting. MEC Forums are supervised and directed by a galaxy of experts, analysts, professionals and writers who introduce the market continuous follow up. 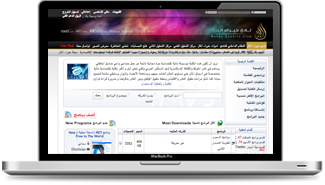 MEC Forums include an interactive academic section for training and skills developing for all users. Since dozens of traders left the written materials and moved to follow up the audio visual ones, the need to provide an independent website in which the users can find all audio visual materials appeared. All these materials are pertaining to the field of financial markets. MEC Video website was established to include a variety of videos for all topics and TV live streams for the economic channels. It includes special economic channels for best Arab analysts. The website also includes several TV channels in which the user can watch them by one click. The website includes more than 10000 videos at the field of economics and finance. The website includes several sections and well-designed to allow the users get their videos quickly and simply. The possibility of interaction among all users and communication with others. The possibility of sharing videos through the social networks on the internet like Facebook, Twitter, Myspace and Youtube. It is a part of MEC methodology to provide all tools in which the investor can use to help him taking the right decision. MEC Data website provides all information & technical analysis data for all Arab and international markets. MEC Management established the Data website to provide the spot and historical data for all Arab and Gulf markets in addition to the American markets with all its sectors and companies. Providing the data of all Arab and Gulf markets. Providing the data of all US markets companies. Providing the data in Metastock and Text formats. Direct update to all markets 5 minutes after the trading days close. MEC Financial Software Center is considered a vital website to all traders in the financial markets. Before a short period of time traders used to follow up and analyze the markets on paper. Now several soft wares contributed in making the investment decision better and faster. Accordingly, Money Experts Club set up an independent website to provide all financial programs to the investors in the financial markets in addition to users' guides for the programs. On the other hand, we noticed the great demand for Metastock and Metatrader soft wares and dozens of indicators for the two programs. We dedicated two sections for these two programs. The two sections include all information, expert advisors and indicators in addition to the ways of usage. 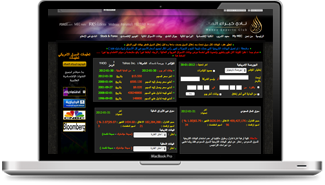 The website includes more than 2000 soft wares and indicators. Providing a complete and clear explanation for each program and indicator. Providing the feature of sharing the programs through the online social networks such as Facebook. A free financial and economic encyclopedia resulted from a social, friendly, moral and sincere co-operation to contribute the widespread of investment culture and knowledge. It is considered the largest online financial books destination in the Arab world and the fourth most visited Website at MEC network. The website was established by the efforts and contributions of the users, so it is considered the first and largest free financial library. In this regard, a group of critical laws and regulations were imposed to protect the copyrights and publishing houses rights and not to be breached. The website includes more than 3000 economic books. The books are classified by specialization. Providing all information for the books. Providing the sharing feature to allow the books sharing online through the social networks. Money Experts Institute for Training is a part of Money Experts Holding Group and one of the leading training institutes that introduce global training and educational programs such as CFA- FRM- CFT-CIB-CVA-CME-1 and others. These programs are introduced to all those who interested in financial markets like bankers, businessmen and investors in the local and international stock markets. Money Experts Institute for Training is affiliated to Money Experts Holding Group. It is registered at the Saudi Ministry of Commerce under 1010243269. It is authorized from Technical & Vocational Training Corporation under 1042/2148.It is authorized from Dubai Commodities & Gold Exchange as a certified agent for the financial brokers. It is authorized from the Saudi Chamber of Commerce under 168996 .It is an official member at the Arab Academy for Banking & Financial Science & Investment & Finance Institute. It is holder of the Quality Management System ISO 9001:2008.It is a certified and special monitor at the General Council for Islamic Banks and Financial Institutions. Money Experts Institute for Training became a Computer-Based Exams Center in collaboration with the widely known, Pearson VUE intentional company to introduce the professional exams to several certifications. Money Experts Institute for Training achieved unprecedented result through the first group who joined the qualifying program in Riyadh and Beirut. The percentage of success exceeded 42% from the total number of participants. Our knowledgeable and highly qualified faculty, are specialists in their fields. They have had extensive teaching experience or are active investment professionals. They have consistently demonstrated an ability to convey complex material in an informative and effective manner and have all earned Ph.D. or CFA charter, CIB, CTP, FRM certificate or the CVA.